Google Lens made its official debut at Google's October 4th event alongside the Pixel 2 and Pixel 2 XL, but we first checked it out nearly a month before that. In Corbin's hands-on, he found that Lens was pretty impressive overall, with some room to improve. Now, it seems to be rolling out to 2016's Pixel and Pixel XL through Google Photos. /u/LaceratedCantaloupe on reddit found that Lens had magically appeared on his Pixel XL's Photos app sometime during the day without any Play Store update, meaning that it's one of Google's beloved server-side updates. A number of commenters also found that their Pixel phones had gotten Lens capabilities as well, though there were equally as many people who hadn't. Note the "Pixel preview" text below the Google Lens icon. It's worth noting that this is only the Photos version of Lens; the Assistant version isn't included here. 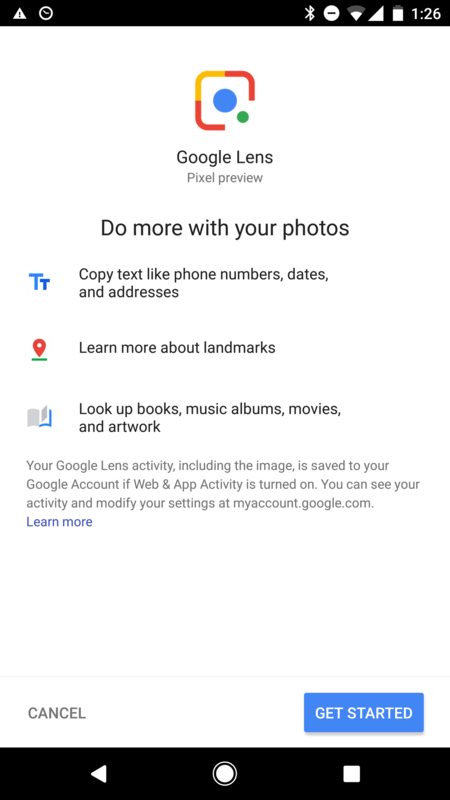 In case you aren't sure what Google Lens is, it aims to pull information from your phone's camera feed and show you results based on that information. Again, you can check out our hands-on for some real-world use. And to all the Pixel and Pixel XL owners out there, let us know if you're seeing this in Photos yet. The Lens icon will have replaced the info icon in your pictures.